Purist Audio Design's newest addition to our Luminist Revision is the Neptune Cable line. It is the pinnacle of our Fluid shielded cables! Every cable in the Neptune line utilizes our proprietary Fluid dampening. Our Fluid dampening has long been a favorite of audiophiles for years delivering a warm sound with exquisite mid-range. The phono cables are crafted around 22 AWG single crystal copper conductors. "Big, spacious, warmer than leaner... though not in a way that is overly warm or ripe... the Neptune line is a whole lot of fun. Which is what we are hearing when we play music--not only from ourselves, but from many others passing through. You get the resolution and details, but not in an analytical, in your face presentation. Nothing is pushed at you, suggesting that the cables are quite even in terms of frequencies--that is, they are not hyped or rolled-off. There is neither a euphonic coloration or any sense of some anomaly to push this or that on our music. Balanced and musical. Sweet. Warm and musical." "Ex-NASA engineer Jim Aud and his team have advanced their thinking, culminating in a reference fluid-shielded cable--the Neptune. It is the newest addition to Purist Audio Design's Luminist Revision series, developed partly in response to customer feedback to make the cables more flexible and user-friendly, while also increasing their performance. The Neptune comes in a four-cable set with positive and negative signals separated. The fluid shields the 7AWG bundle of fine single-crystal-copper strands from RF, EMI, and vibration. The shielding helped produce a huge soundstage with explosive dynamics in a system with Atma-Sphere electronics and Classic Audio loudspeakers." Our Neptune cables received Best in Show, 2015, along with Classic Audio and Atma-Sphere at the High End show in Munich, Germany! "Showing with Ralph Karsten’s Atma-Sphere Novacron amps ($19,200/pr. 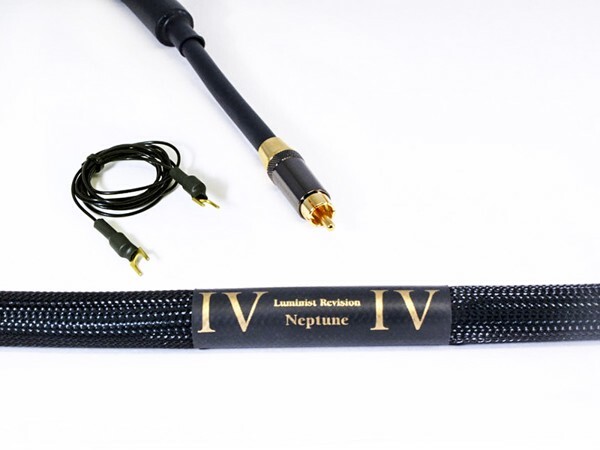 ), and the Purist Audio Design Neptune series of cables, there is no denying the synergy. I sat utterly rapt in Stevie Ray Vaughn’s guitar work, and simply have to marvel at the ability John’s speakers have to delve into and release music in one of the most dynamically and harmonically correct presentations you’ll hear."